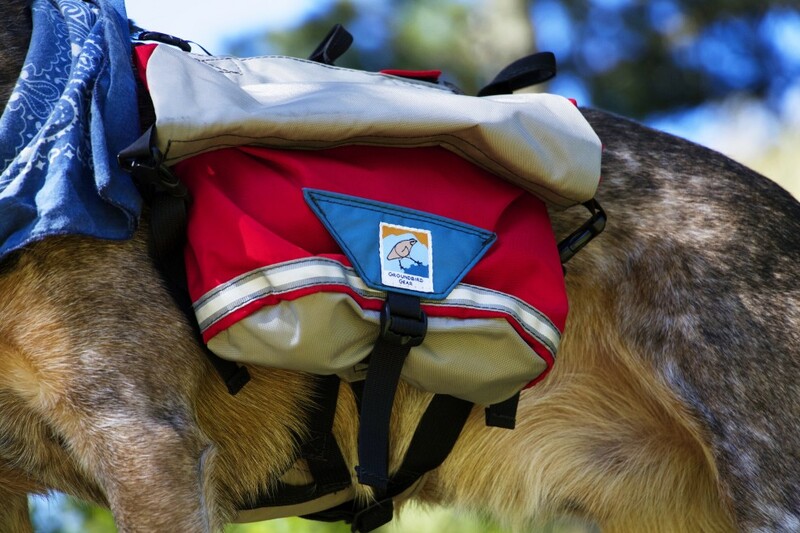 Jack tried out his spiffy new custom-made trail pack from Groundbird Gear on our last hike. He was psyched (exhibit A: the first photo up there ^ ) and looked like a smiley cub scout the whole time. 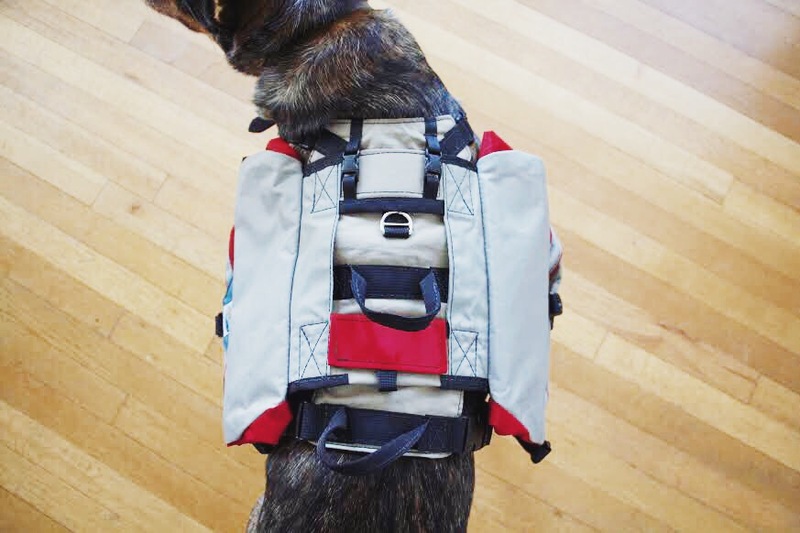 Groundbird Gear is a small company based out of Baltimore, Maryland that specializes in lightweight, durable packs made custom to fit your dog. 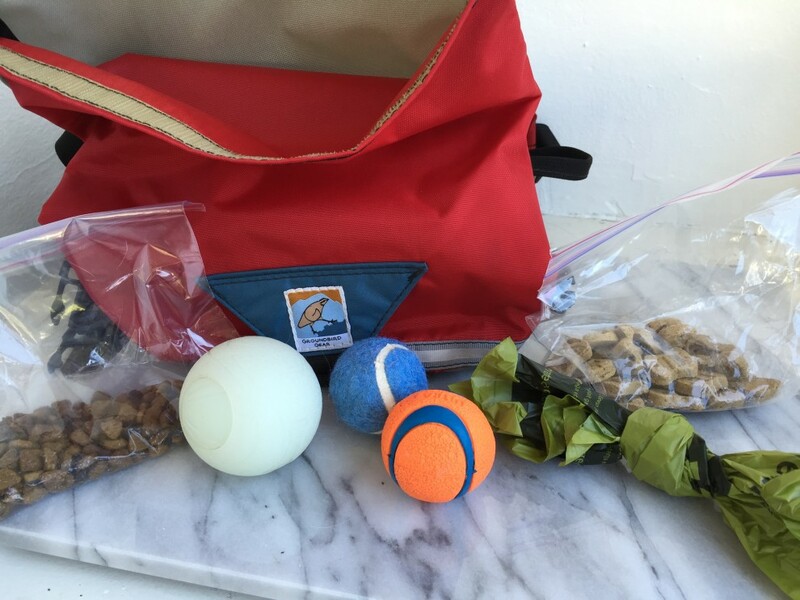 Owner Marie works closely with you to create a unique one-of-a-kind pack that is perfectly tailored to your dog’s body individually. The process was easy and fun, from choosing the design and colors, to submitting measurements, seeing mock ups and finally unwrapping the finished product. We’ve had packs before that we bought off the rack and they never really fit Jack correctly (he’s got a mutt bod, we say he looks like an eggplant). These packs are a great alternative to those mass-produced ones. The roll-down pockets on each side are roomy and can adjust to carry as much or as little as you need. This is especially useful as Jack likes to have multiple balls with him at all times (teenagers). 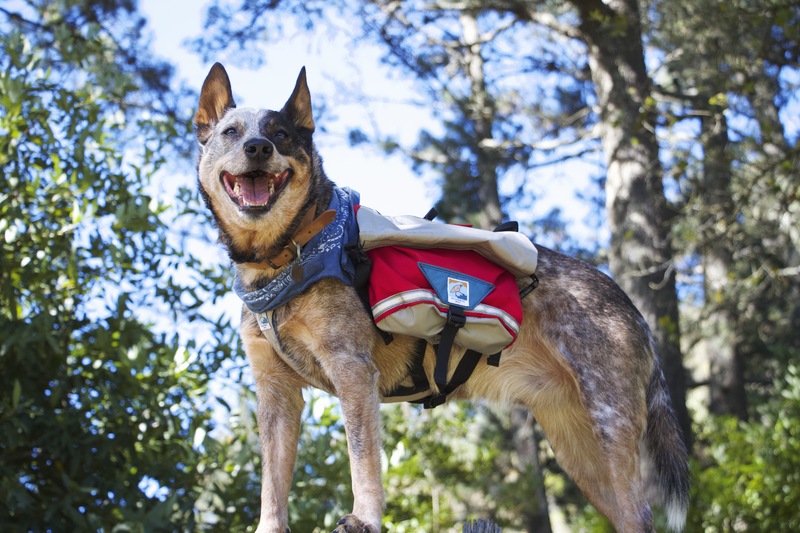 We’re really happy with his new trail pack and will continue to use it on our future hikes and camping trips. You can get your own custom trail pack right here just in time for Spring. These custom packs are amazing! Thank you for sharing this company…love, love. Hoping to start packing with my pups this summer, but my girls are oddly shaped; one is a cattle dog eggplant like Jack, and the other has a body halfway between a lab and a greyhound, so NOTHING fits her. So excited about this. Mutt bodies are the best. These bags are the good stuff. Might have to get another for Keeper. 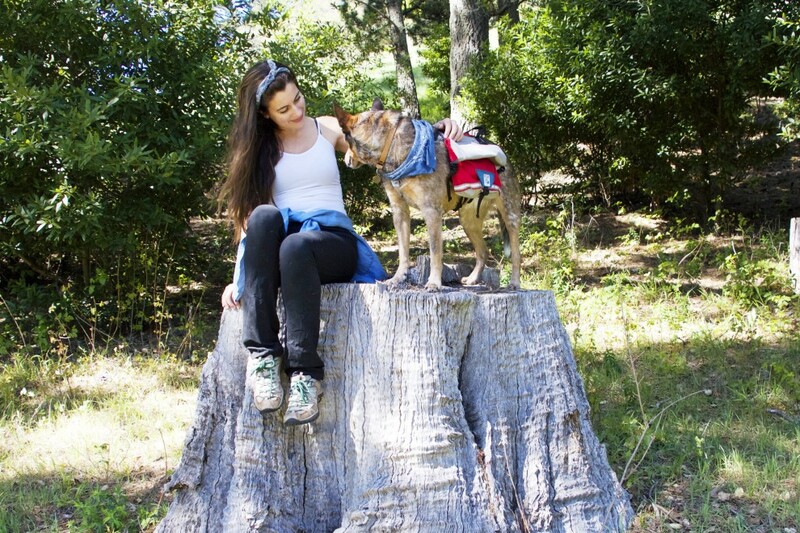 Wildlandia is a lifestyle blog about everyday life, being on the road, dogs, California and more. Read more here.